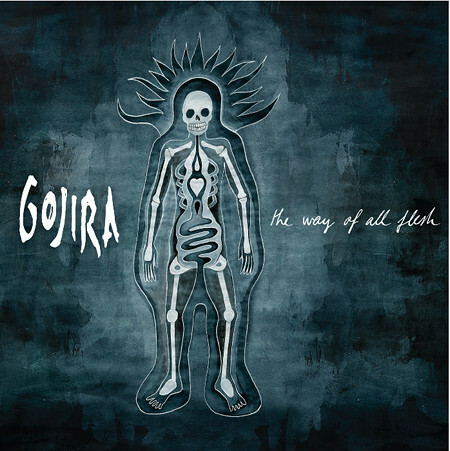 French progressive metallers GOJIRA are currently streaming 10 of the 12 songs from the band's forthcoming "The Way Of All Flesh" album on their MySpace page. According to the band's manager, Richard Gamba of Sphere Management, "we had planned to stream the whole 'The Way of All Flesh' album from September 29 up to October 5, but due to unfortunate problems with the brand new MySpace player, we're only able to stream ten songs. We hope that the last two songs — 'Oroborus' and 'Vacuity' — will be on the player soon. We're sorry for the inconvenience and are hoping it will not affect your listening. Thanks for your understanding." GOJIRA is currently putting the finishing touches on the video for the song "Vacuity" from the "The Way Of All Flesh" album. In a recent interview with Metal Hammer magazine, GOJIRA guitarist/vocalist Joseph Duplantier stated about the track, "Vacuity. Absence of matter, emptiness, but full of light. Ultimate presence beyond the notions of our world. Vacuity is the source and not just 'nothingness.' We live in a world that goes faster every day and it seems there's a lack of time for each one of us. This song is about taking the time and being closer to the heart." The video was helmed by French producers Julien Mokrani and Samuel Bodin of Six Pieds Sous Terre Productions. The location of the shoot was in the Basque country where GOJIRA resides. Main actress Claire Theodoly has studied theatre for many years and is currently rehearsing a main role in a play called "Le Jeu de l'Amour et du Hasard (Marivaux)" at the Centre Dramatique in Tours (France). The "Vacuity" clip was shot with a RED Digital Cinema video camera such as the one used in Peter Jackson's "Lord of the Rings" movies. It will debut on October 6. Headbanger's Blog recently tracked down Duplantier to discuss the creation of the band's new album, "The Way of All Flesh", what inspired him to write an LP about death, what he thinks awaits beyond the abyss, his contributions to the CAVALERA CONSPIRACY and why the French metal scene is stronger now than it has been in years. You can stream the interview below (scroll to the bottom of this story). "The Way of All Flesh" is scheduled for release on October 13 in Europe via Listenable Records and one day later in the U.S. through Prosthetic Records. 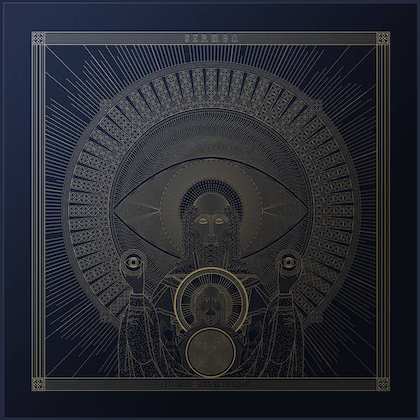 The cover artwork (see below) was created by Joe Duplantier, who was also responsible for the artwork for GOJIRA's previous album, 2005's "From Mars to Sirius". Joe Duplantier recently told MTV's Metal File that "Flesh" is a conceptual work, focusing on the morbid topic of death. Regarding the new CD's musical direction, Duplantier said, "I think that, probably, some people will be disappointed by some things we did on this album, but there is also a very logical evolution of our music since 'From Mars to Sirius'. It's pretty much what we want to hear from a band, and that's been our goal since the beginning — to play music we could enjoy. And for the first time, we are happy with the sound we've achieved by being our own producers for all these years. We've never had an external person telling us what to do, and for the first time, we're very happy with the sound, because it's just so powerful."